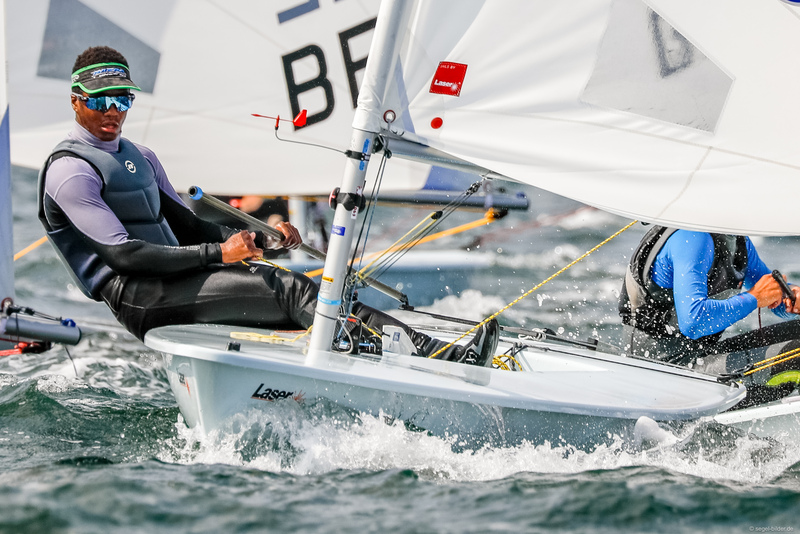 Two races were completed today at the Laser Radial Youth World Championships. 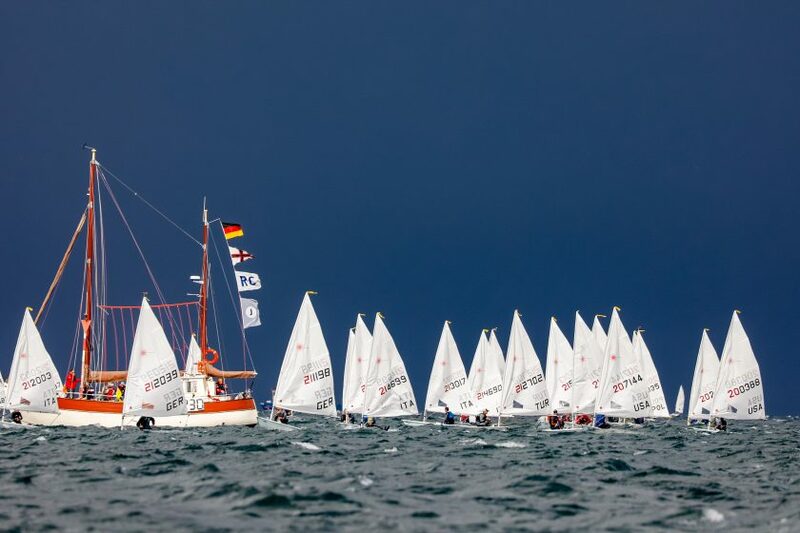 The sailors faced heavier wind, waves, and even an approaching storm in Kiel today. After the first race, the sailors were waiting on the race course until the stormy clouds passed. “First there were really strong winds, then there was hardly anything left,” shared Laura Schewe of Germany. Two final races are scheduled for tomorrow, which will bring a close to the Championships. 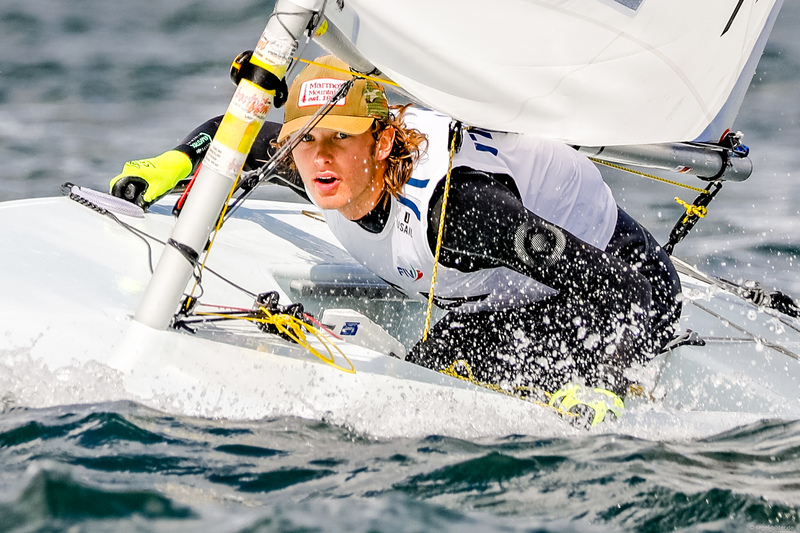 Team Italy has made a statement at the World Championships thus far, with Matilda Talluri leading the girls’ Gold fleet, and Guido Gallinaro ahead of the boys’. The most consistent performance in the girls’ division across the varying conditions was Spanish Ana Moncada Sánchez. After performing well yesterday in the light wind, she held her own in the stronger conditions today finishing with a 6th and a 4th place in the two races. Talluri, slightly more inconsistent, finished with a 5th and a 12th today, but has managed to maintain her lead ahead of Sánchez by three points. After facing a tougher day, Matilda Nicholls of Great Britain has held her position in the top three, but is now in third and nine points behind Sánchez. She had 11th- and 9th-place finishes today. Tomorrow will certainly be a battle with only three points separating the leader from second place. 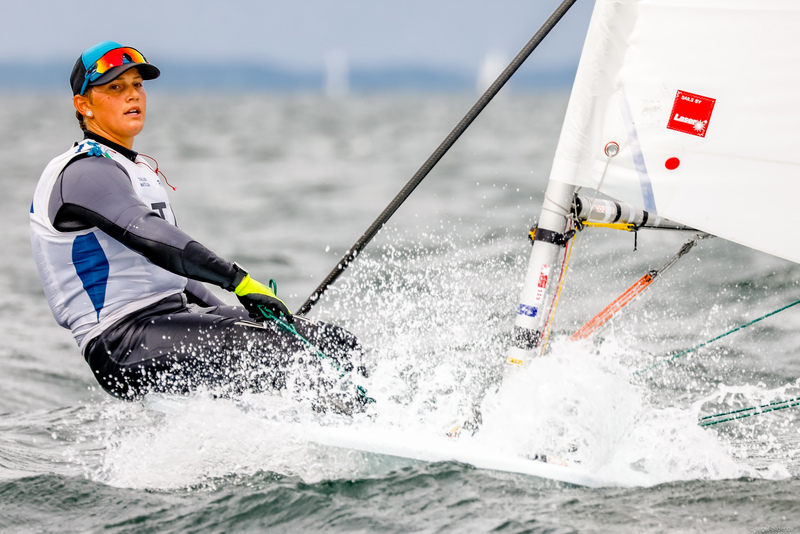 “I thought I would like strong winds better, but then I took the waves badly, a gust got me, I had the wrong timing, and I capsized,” shared Alex Schonrock of Great Britain. With one day of racing left, Schonrock is leading the U-17 ranking and is in 12th place overall. She cannot afford a bad results anymore since she has already used her discard (penalty for pumping or swinging). Belgian Eline Verstraelen sits behind her in 14th place, but second in U-17, with Giorgia Cingolani from Italy sitting third in the U-17 division and 16th overall. The final two races are scheduled for tomorrow in each division.